CAD Mesh Import - Import a bounding mesh created in a CAD program (OBJ format). Optimization - Built-in parameter optimizer. General boundary shapes - Create boundary paths using implicit algebraic equations. Interactive Plot Zoom - Zoom in on plots without the need to request a special plot. Material Sets - User-defined groups of material properties simplify script writing. Boundary Condition Sets - User-defined groups of boundary conditions simplify script writing. Multidirectional Periodicity - Support for periodic boundaries in more than one direction at corners. Extended Preferences Panel - All major settings located in a convenient preference panel. Automatic Mesh Output - Easier post-processing with automatic mesh transfer output. Automatic Mesh Input - Faster restarts by importing previous mesh when possible. Simplified Stop & Restart - Simplified commands for restarting from mesh transfer files. Heirarchical Basis - New heirarchical FEM basis functions improve matrix conditioning. New Dongle Vendor - Wibu-Systems dongles provide more flexibility and cost effectiveness.FlexPDE does not merely pass a translation on to some other package for processing. 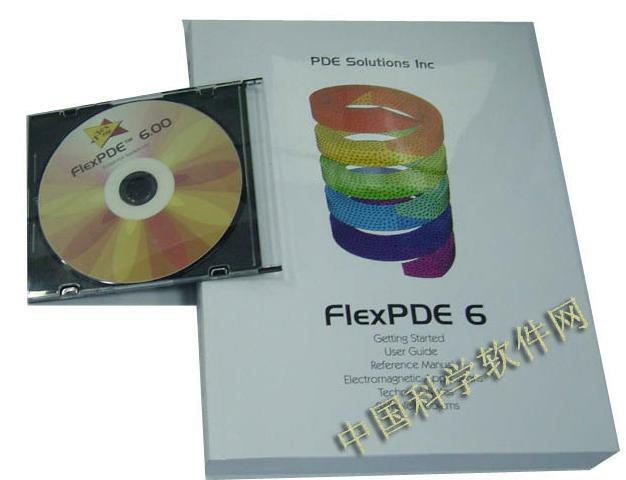 In fact, FlexPDE is designed to be the package other applications call for processing. Well, you don’t have to just imagine. Because that’s what FlexPDE will do for you. Join hundreds of the world’s most sophisticated scientists, and take advantage of the most versatile problem-solving environment in existence. FlexPDE continually monitors the accuracy of the solution, and adapts the finite element mesh to resolve those areas of high error. You don’t need a dense mesh throughout the domain, because FlexPDE will find the areas that need it, and put it there! The problem shown here is a two-phase flow calculation, modeling the extraction of oil by water injection. FlexPDE adapts the mesh to the front of the wave. By locking the mesh to the fluid velocity, you can create a fully Lagrangian model. Or, you can define a relaxive mesh within moving boundaries to maintain mesh integrity. Or, by omitting the mesh moving equations, you can perform a fully Eulerian computation. In any case, FlexPDE automatically corrects the PDE system to represent the motion of the mesh. Here U and V are the X- and Y-velocities, P is the pressure (introduced as a surrogate for the continuity equation), rho is density, and mu is viscosity. This problem considers the magnetic field in a core containing a permanent magnet. where A is the magnetic vector potential, P is the magnetization, J is the current density, and mu is the permeability. Here T is the temperature, C is the concentration. a, b, and G are constants. where C is the concentration and D is the diffusivity. At early times, the solution near the source can be compared to the analytic solution for 1D diffusion. Internet Key -The standard method of licensing FlexPDE Professional is by internet activation. This mode of licensing generates a text key that locks the execution of FlexPDE to a specific computer CPU. Access to the internet is required on a periodic basis to validate the key. The key can be released from one machine and reactivated on another without difficulty. Dongle - FlexPDE Professional can be configured to use a portable hardware key (dongle) for USB (or parallel port by request). FlexPDE can be run on any machine that has the dongle installed in an appropriate I/O port. There is a $50 surcharge for the dongle. Network - FlexPDE Professional can be configured to run in a networked mode. A single network accessible computer is configured with a network dongle and a license manager application. Any other computer with network access can then run FlexPDE, up to a specified maximum number of simultaneous users. There is a $150 surcharge for the dongle. Software Key -On request, Professional configurations can be licensed in the form of a text key that locks the execution of FlexPDE to a specific computer CPU. If you prefer a software license key, you must first download and install the software and record the computer ID from the "Help | Register FlexPDE" screen. Include the computer ID on the license application form. Your software key will be sent to you by Email. Copy this key to the FlexPDE installation directory (you may need administrator privileges to do this).